They have served us, and this is how Boot Campaign serves our veterans! Many veterans have served in Iraq or Afghanistan and suffer from PTS symptoms. It affects the soldiers, their families, and friends. Inspired after reading “Lone Survivor,” Boot Campaign was founded by 5 Texas women; the Original Boot Girls. They wanted to walk in soldiers’ shoes and honor men and woman who serve and protect our freedom. Buy combat boots and step into the shoes of heroes. What started as a fun photo op, the Original Boot Girls turned The Boot Campaign into a national movement contributing annually more than $2M into the military community. The Boot Campaign embraces three pillars: Awareness, Patriotism, and Assistance. Boot Campaign shares both the challenges faced in the armed forces community and the inspiring stories of triumph from which we can all find hope and encouragement. Wearing combat boots is a visible, unique way to show patriotism, gratitude, and support for service members and veterans. ReBOOT is our primary campaign to show how we honor those that serve and walk in their boots. It provides a comprehensive, individualized, multi-disciplined approach to increasing mental and physical well-being for our nation’s veterans. Results from Post-Traumatic Stress, such as anger, depression, hyper-vigilance, and anxiety, drives soldiers to isolate themselves from family and friends. Assistance is provided when and where needed and supports veterans to get back to normal, healthy, happy, productive lives. 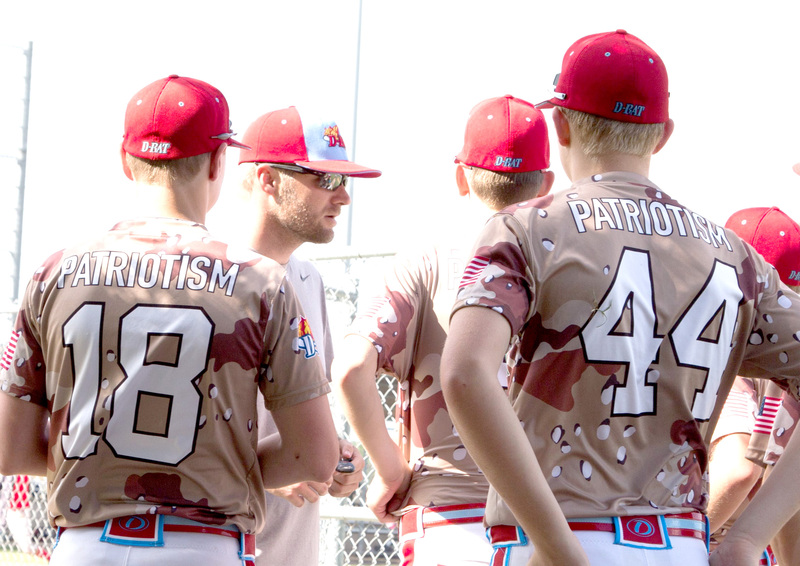 Titan Consulting sponsored a local tournament baseball team and proudly wore Boot Campaigns “PATRIOTISM” camo jersey for their tournaments. The coaches wore Boot Campaign T-shirts, jerseys and boots.